New Shrewsbury Town FC Venue partnership. 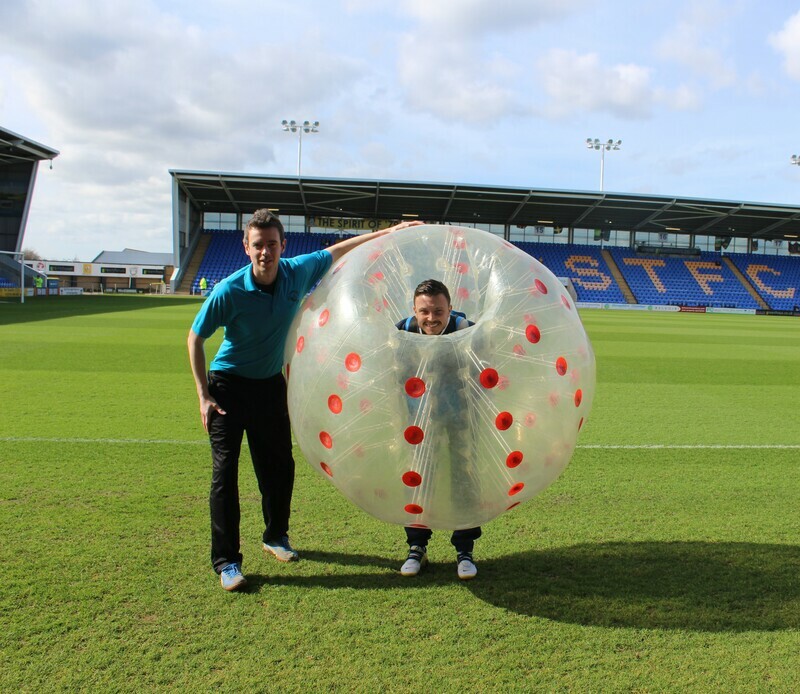 We have now agreed a partnership to provide Bubble football and our sister activity, Dodge Archery.at the new Shrewsbury Town FC in the community hub. The site is right next to the Shrewsbury Town football stadium and has 5 and 7 aside astro turf pitches which we can be used as part of our partnership. 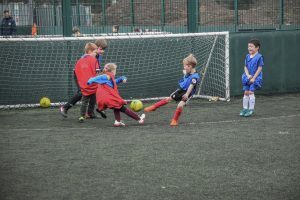 The site was previously run by Powerleague, but has now been taken over and upgraded by the Shrewsbury Town community hub - see here for more details about this venue. Our activities booked here will include access to the new Community Hub bar and function area which is located right next to the 5/7 aside pitches. The main pitch is linked up to a camera, so there will be a (bare with me)...large button which you can press during the activity to save the last 10 seconds of action if you have seen something particularly exciting! This will highlight it to us so we can go back and get the video footage after the session. A great idea! ​The bubbles go through a lot of wear and tear over the various sessions we take in all kinds of sports halls, astro turfs and grass pitches, plus different sized players and the 4 great British seasons! After investing in a total of 34 new bubbles in January 2017, we have another 10 bubbles due to arrive by mid February 2018. Scroll down to see a very exciting difference to these bubbles! A WHOLE new ball game! Can you notice the difference?? 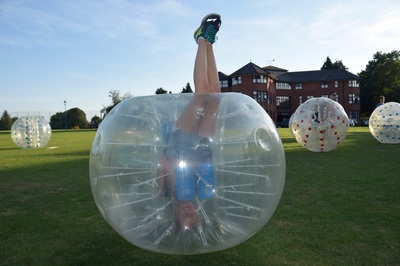 After successful trial sessions, we can confirm the arrival of new bubbles with a space for you to see right through! The feedback was really positive so you can expect to see these new bubbles rolling into action from mid Feb 2018 onwards. Dodge Archery is a hit! After bringing in dodge archery, our second activity last year, the feedback has been really positive. 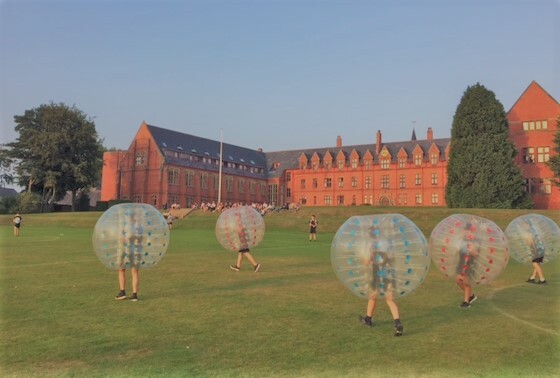 We provided sessions for a good range of customers,such as Summer Schools in Ludlow and Worcester, students at Shrewsbury School, and a corporate party in central Birmingham. The adrenaline from the fight or flight feel of the games, along with the skill and precision of the archery makes for exciting game play. Number of players: 100 approx. 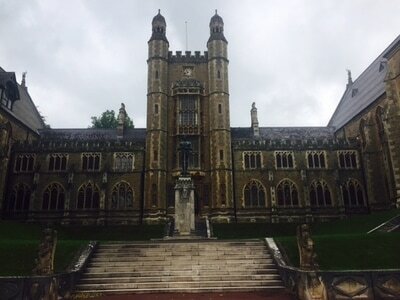 Location: Malvern College sports field. ​We came up with the tournament plan, and ran the on field antics, while one of the teachers looked after the tournament admin of checking off which team had won etc. ​This set up works so well on a nice British Summers day, and the children loved the taking part and watching, while the parents got lots of action shots. Here are a few snaps. The amazing school building and the two teams contesting the final match! 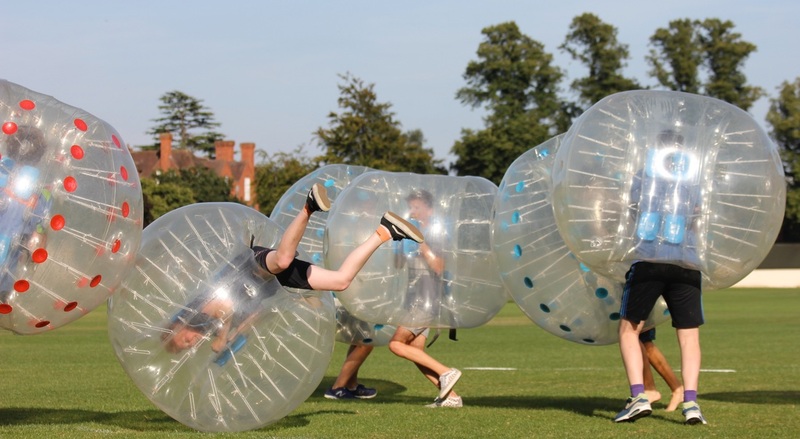 Drop us a line if we can help organise your Summer bubble tournament. Tips on hosting a bubble football event. 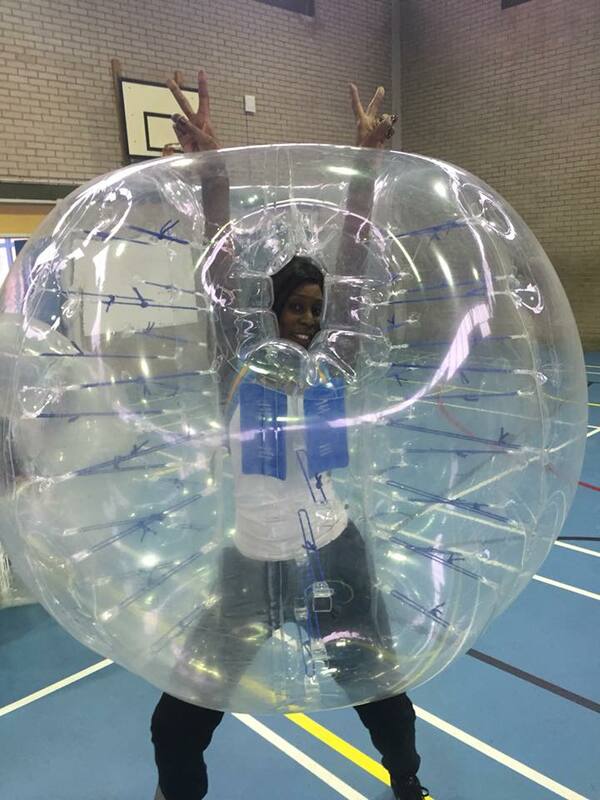 Do you want to bring a bubble football event to your School/Place of work/Park/House? 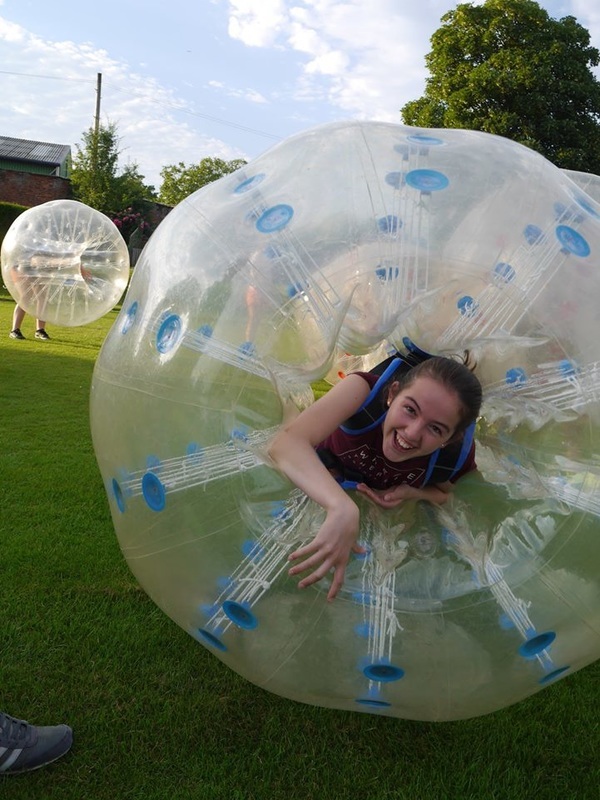 ​If you have a gathering of friends, family or work colleagues, bubble football is a great option, particularly this time of year to make it an event to remember, Here are a few things to consider to really get the most fun out of our visit to your chosen location! ​1. Numbers and time. Drop us a line and we can have a chat about how long we would recommend the session to be. Do you have 10 or 100 people coming? For example, 3 hours for 10 players is too long. 10-15 players for one hour is great! ​2. Gender, age and size. We attend many school based events and one of the first things we recommend is to try and get the players in groups matching their size and power. You don't want early vs. late teenagers for example. 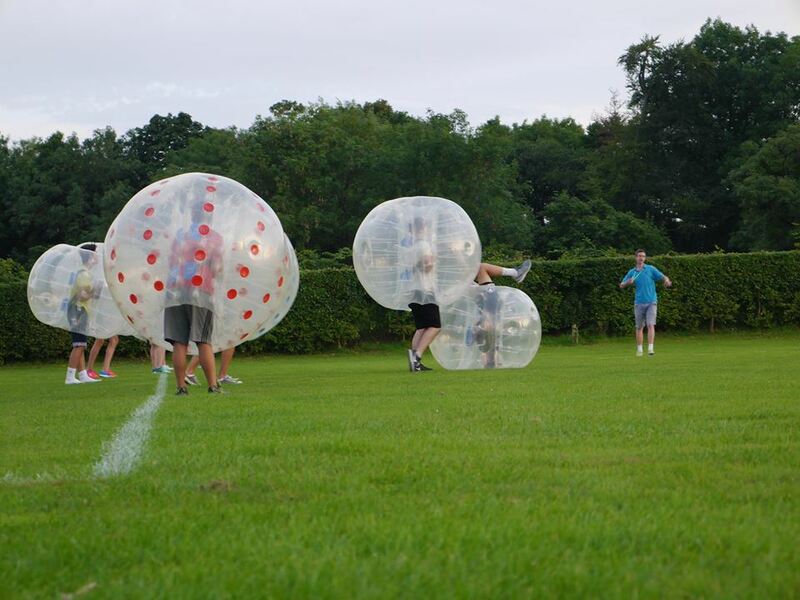 Lets split them in to two groups, each group can have a rest while the others are playing. This works well! ​3. Water. Always have lots of it on tap. Or there, in bottles - you know what I mean! ​4. Landscape. We love coming out and bringing the bubbles to new places. We have been to famers fields after hay harvest whilst people watch on a trailer. Garden parties at houses. Conference centre halls and a 5 star estate in Surrey for the Brunei Royal family (true story!) to name a few. Anyhow, the point is, every session can be different, but just make sure of simple things like no thorn bushes around, flat ground, reasonably short grass, no telegraph poles or the like. etc, etc. a piece of grass approx. a tennis court size or bigger is great. ​Here are a few photos of some great locations we have visited. Drop us a line and make your place next! Event: The order and shipment of our new Bubbles! ​In Autumn 2016 we put our third order in for new bubbles outlining our commitment to offer the newest features on the zorbing market, and to increase our capacity and range of bubbles to suit all our customers. 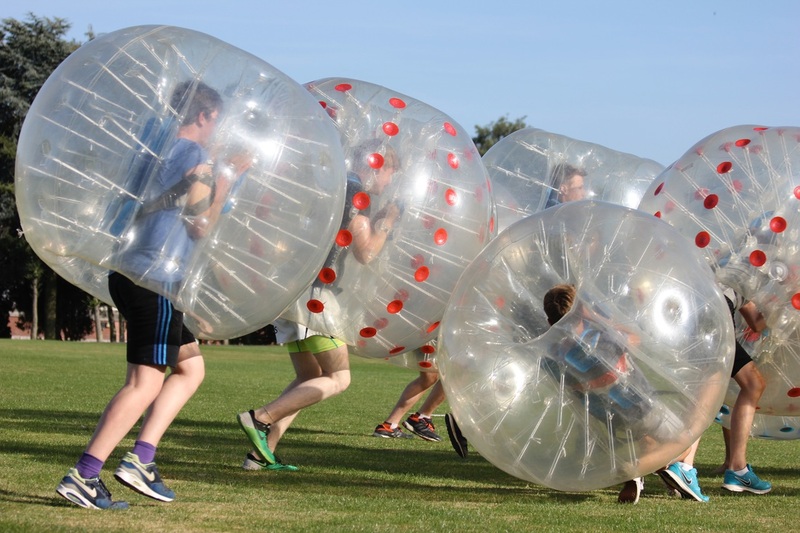 ​We have done lots of research, and by now know what we are looking for when buying bubble footballs. 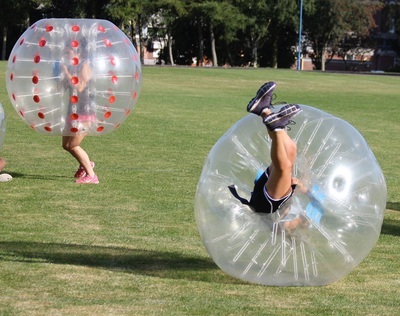 There are options to buy zorbs in the UK and Europe, but they almost always end up coming from one place anyway. 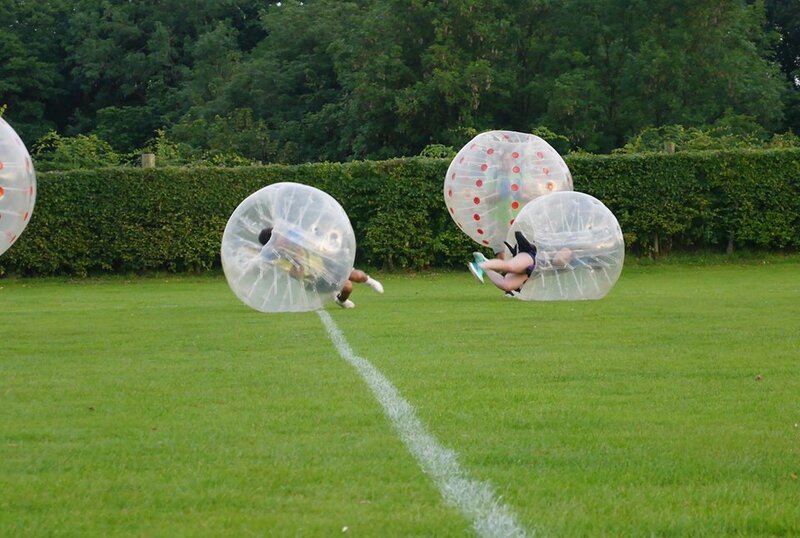 A place skilled in making zorbing equipment. China. We are really happy with our suppliers over there - we were initially recommended to them by a large German zorb provider in 2014. Given the force (and rightly so!) exerted on these bubbles by our customers, it is really important that the bubbles are of the highest quality and safety features. ​- There is a lot more room in the middle of the bubbles, so those with a fear of tight spaces may fear no more! 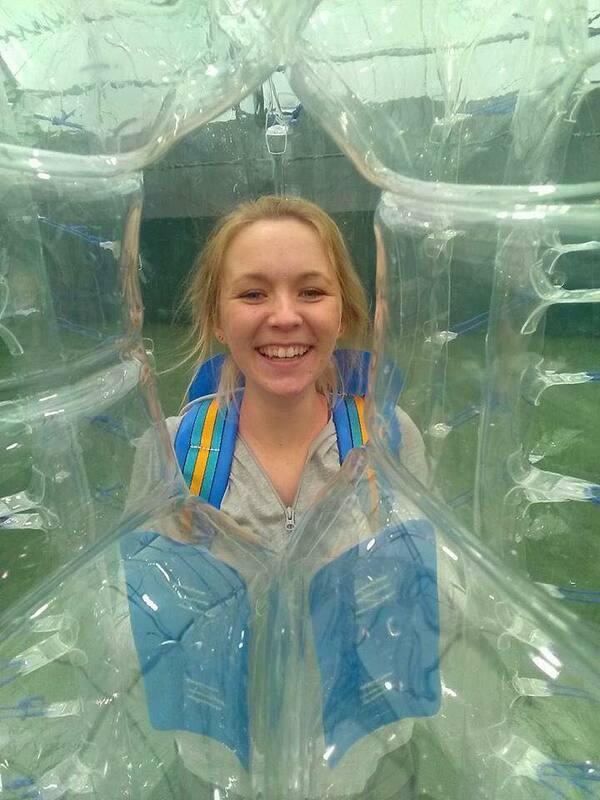 The new bubbles are a lot more "roomy". ​- The straps are now a lot more comfortable to wear, whilst still ensuring the safety element to keep the player nice and snug to the big protective bubble. ​Head over to the contact page to let us know when you can try them out. And also take a look below at how we got slightly carried away once the bubbles were unwrapped and blown up! ​This was our second visit to the ground of Ludlow FC as we had attended their end of season event in May 2016. Simon is Chairman of the Junior teams at Ludlow Town Juniors, running through every age group from creche, under 7's right through to under 15's. ​Simon was looking to use the great facilities at Ludlow Town FC to host a Sunday get together of all the junior teams where he could use the bar to give teams food and chance to have a boogie at their disco, while we would look after the children outside on the astro turf. ​We looked to run the event from 4pm - 8pm under the astro lights. 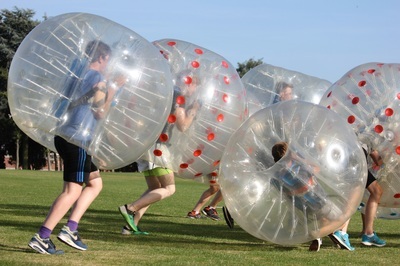 Each team/age group would get 15/20 minutes in the 14 bubbles that we had povided as we started with the youngest and ran through to the oldest junior teams. That 15-20 minute time period worked well as any longer and I would have suggested a break and a drink for the children. 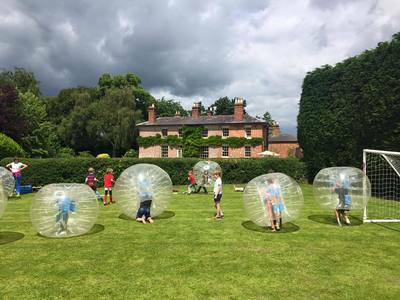 ​I asked Simon to push for the younger children: Creche - Under 11's, to bring their parents with them as parents help take away the fear of a "new thing" that children have, and also get to roll around their children in the bubbles which brings lots of laughs from the parents and children too! We keep the structured games to a minimum with the younger children as they have enough to take in as they stare open mouthed at the bubbles! Encouraging somersaults, rolls and bumps with younger children keeps them more than entertained. As time passed on and we went from the younger children to older, we began to bring in a few more structured games for the children to get involved in and challenge their friends to. We tend to find that from the under 12's upwards they have spent days, if not weeks planning who they want to have individual duals with and what players they want on their team for bubble football matches, as they are all too keen to tell us when they are getting in the bubbles! ​So, last up for the evening were the under 15's, and below you can see a little clip of them doing a "Braveheart"! ​Event: Shrewsbury School Rowing Summer Camp, afternoon bubble session. ​The 15th August 2016 marked the second year that we had put on bubble football activities for the well respected Summer rowing camp in the grounds of Shrewsbury School. The relationship began in 2015 when Julie was referred our details from our close relationship with Shrewsbury School where we often visit entertaining the various houses at the school, often on a Sunday afternoon. 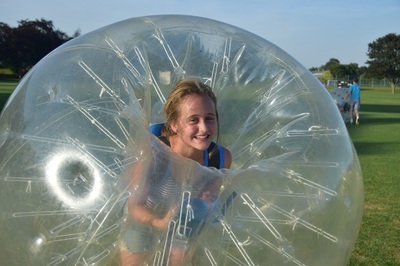 ​I'm sure Julie wont mind me saying that she had a little concern about the claustrophobia potential within the bubbles. 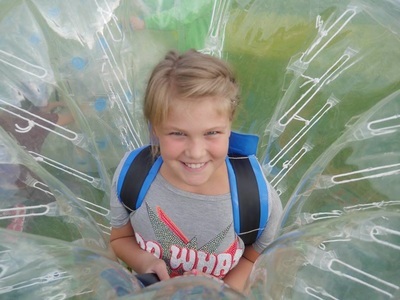 If you've never been inside one of our bubbles before and have just seen a picture, that could be a sensible question. I've been stuck in a lift before, I understand! 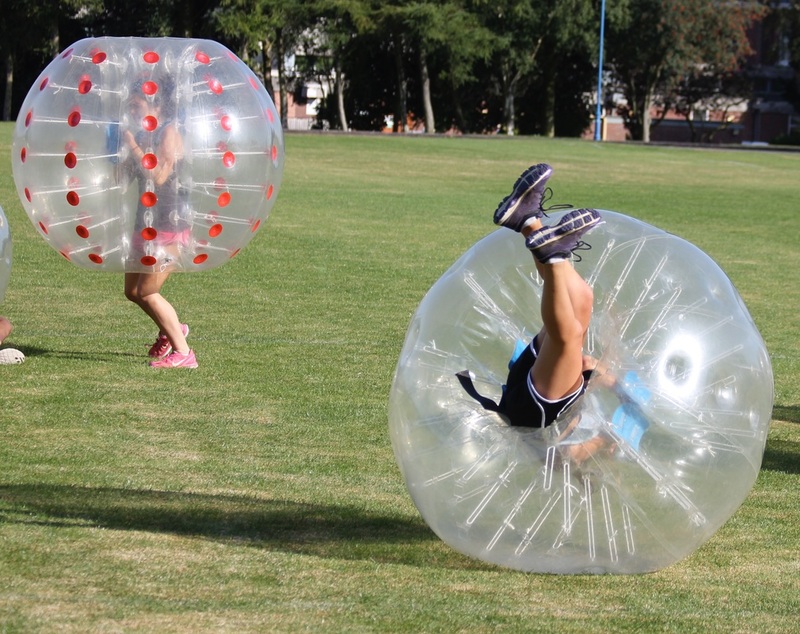 In reality, if claustrophobia is ever an issue, it is before you have actually been inside a bubble. They are easy to manoeuvre inside, with plenty of room, and comfortable too. 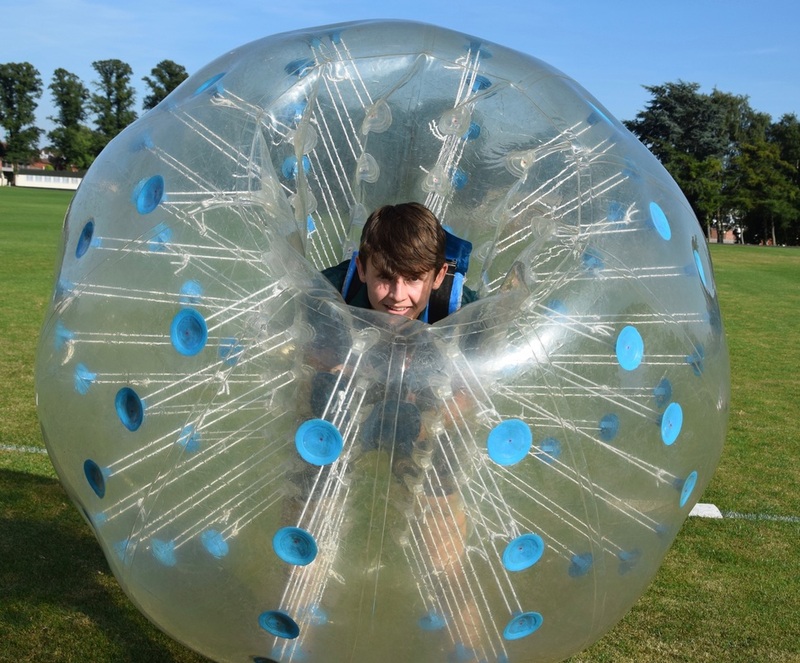 Hey, you could say its actually like being inside a big bubble! ​So, anyhow. Julia wanted a fun activity for teenagers, boys and girls that was safe and inclusive. After the success of the first year in 2015, they were looking for much the same. 25-30 players, 2 hours, lots of different games. As with all our educational establishment customers, we understand that they like a mixture of movement skills, new experiences, team work, building self confidence and memorable fun. ​With astro turf options on standby in case of rain, it was actually a glorious day as those watching were able to sit and enjoy (I could tell by the loud oo's, aaa' and laughs!) in the lovely August sunshine. 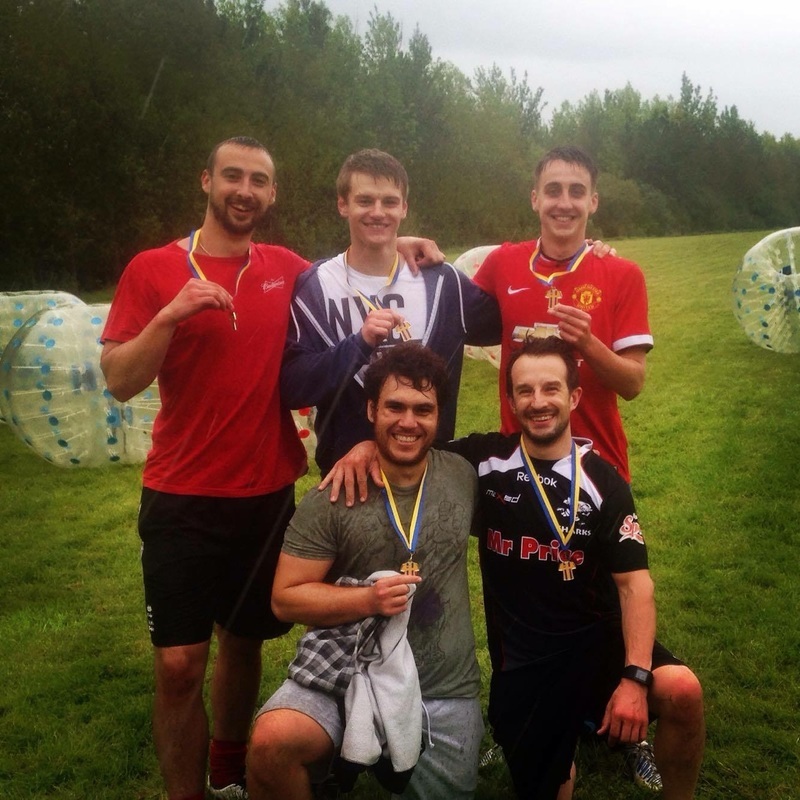 "This was our second year using West Midland Bubble Football and again it ran seamlessly from start to finish due to Ed's organisation. Our age range was 11 to 16 years and the students were split into groups but it was just as much fun to watch as taking part. Even the most nervous students wanted to join in, helping them gain confidence. The students enjoyed a variety of team games, developing communication and movement skills. Above all it is fabulously good fun and an excellent way to spend an afternoon! We will be booking again for another session next year! " ​See the event photos below (thank you to the course for allowing us to use them). Claire called up for a chat about two months before the event, which was great of course. But the second thing that was also great....was that she was most impressed by our website over any competitors as it looked and felt "more personal and friendly". Thanks Claire! ​Claire was keen to find out more about me, Ed (I run the company-Hi!) to see if I would fit in with their values, and what plans I would have for the children during the session. We agreed to hold the session on the children's second day at the camp for two hours. 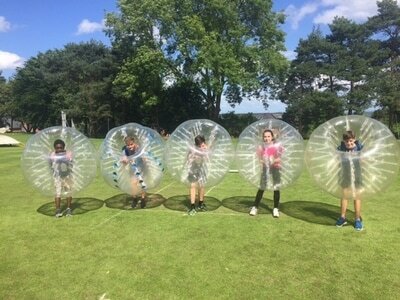 With the children coming from all over Europe, the bubble football games are a great way to break the ice and make new friends, plus learn a lot about the people they were going to be spending more time with. Hanging upside down in a giant bubble next to someone means you get to know someone pretty quickly! There are also many team games we incorporate where we encourage players to communicate as much as possible. It is this communication with others, and with it being far, far away from a classroom setting which also proves to be some great extra curricular learning for the students learning English. ​I arrived for the 7.30-9.30pm session on the Tuesday night in time for Claire to show me around the beautiful school they had hired in Ludlow. It was a lovely location, and there was also time to get to know the staff who Claire had again chosen to match the values of her company. A great bunch. There was a really positive reaction from the children - I don't claim to speak their home language, they just looked super happy! ​See below a quote from Claire after the event, and some photos too! Click here to find out more about booking a session with us. Back in January I had the idea of making money for the charities we work closest with,: Shrewsbury Town in the community and Hope house. 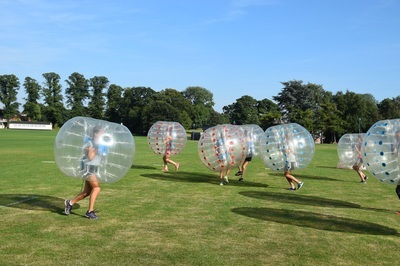 We arranged to meet up as we thought as a way of getting people together to make money for charity, who could turn down a game of bubble football?! We were able to successfully contact our friends at The Shrewsbury Club who were happy to offer us free use of their facilities to host the event, and free guest passes to all players and supporters....how could anyone resist?! Shrewsbury Town were able to offer various club merchandise for all players, and even complimentary home game tickets to the lucky 5 winners. 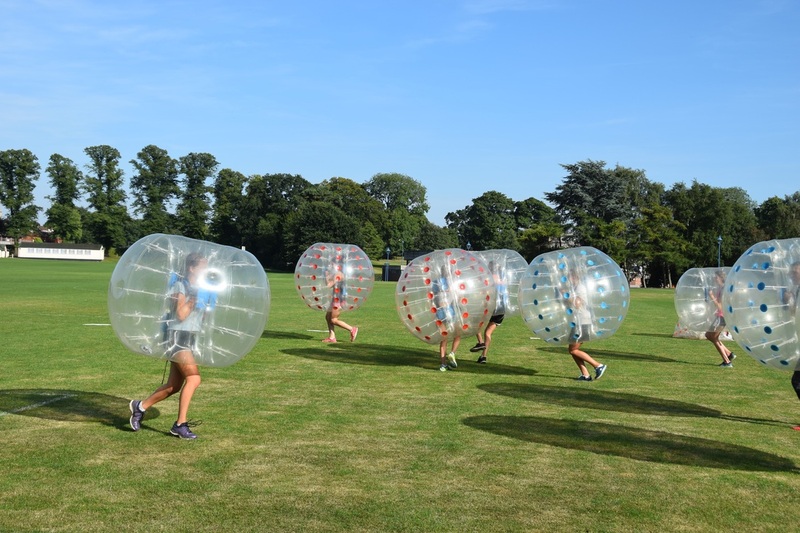 We have lots of requests to bring our bubble football to different charities for free so we wanted to make sure that this one event got our full attention. We made sure the chosen charities were able to make the most of the event, with every penny raised going to Shrewsbury Town in the community and Hope house. 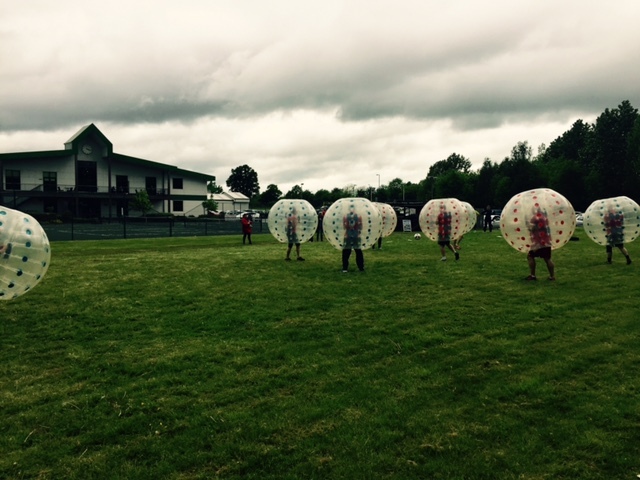 What we weren't sure about was the standard of play - you never are with bubble football! But it turned out to be extremely entertaining with lots of oohs and aahs from the supporters. And if I ever find out the name of one of the goalies.....well, all I can say is that he was like a cat in between those sticks! Well done to the eventual winners and we look forward to building on the success for next years tournament. 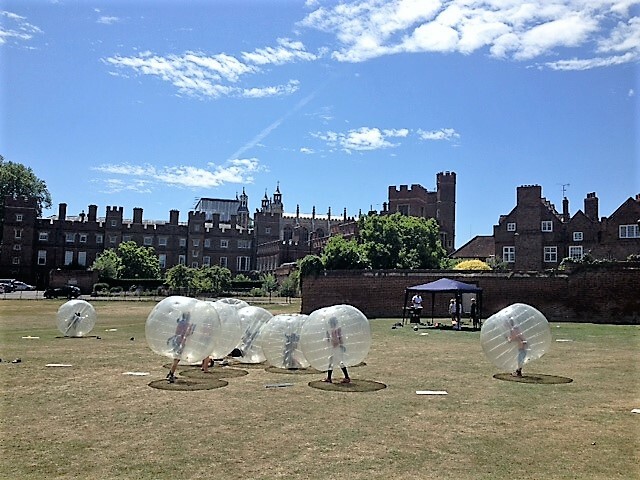 Event: Afternoon Bubble Football session for Eton College rowing Summer camp. Having been to Eton College once before to take a private session for one of the houses during a week day, Rachel Harris had become aware of us through a recommendation from the house tutor. 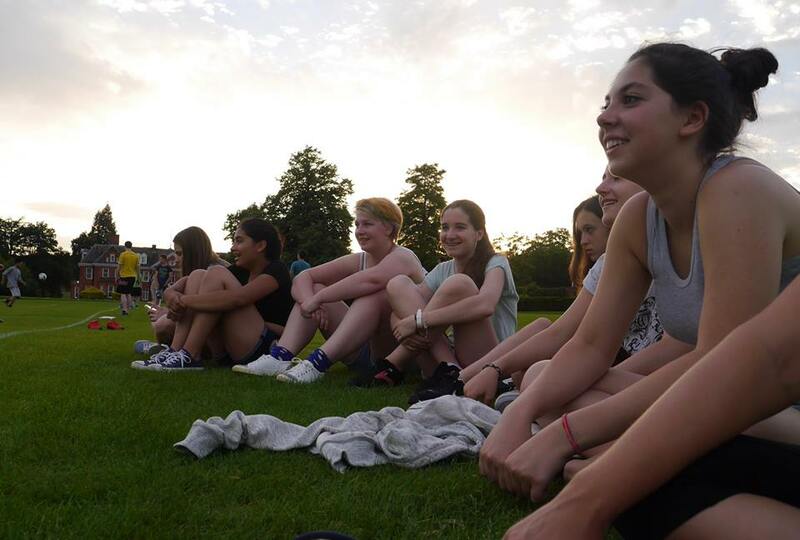 Rachel was part of a team organising the week long rowing course at Eton College looking after children from 13-17 years old day and night for the days. The course is designed to improve rowing skills but also is well placed to offer participants a hugely fun opportunity to get to know their peers over the week. 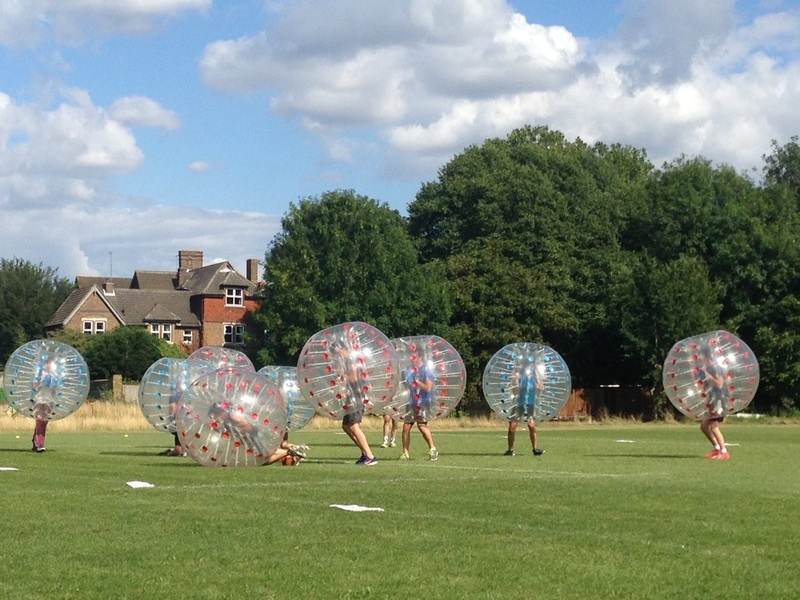 Bubble Football needs few words to explain how fun it is (just pictures or videos!). 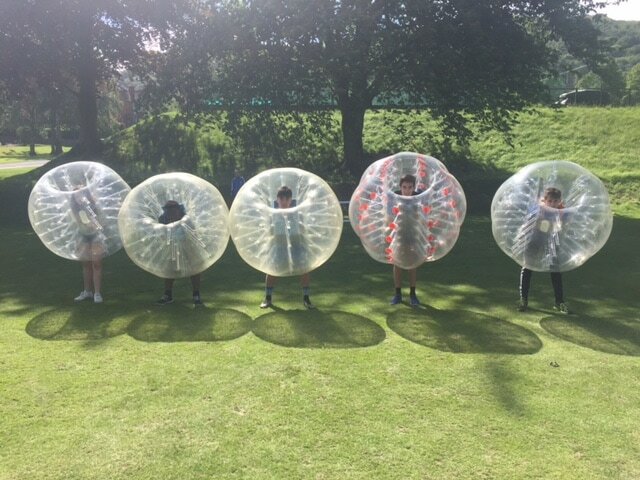 As Rachel explains in her testimonial below it offered the children a new activity to get to know each other, building on key aspects such as trust and team work. The session was organised whereby all players were split in to teams based on age and gender. We had lovely weather that day, so when not in the bubbles, the players had a chance to bask in the sunny park and watch their new friends play. It turned out to be a very traditional English Summer setting, to hold this enticing and entertaining new activity! We are currently organising our visit to Eton for 2016. I would say how brilliant it was to see all 75 children engaged in an activity which not only challenged them physically but required them to work together and motivate each other as a team. 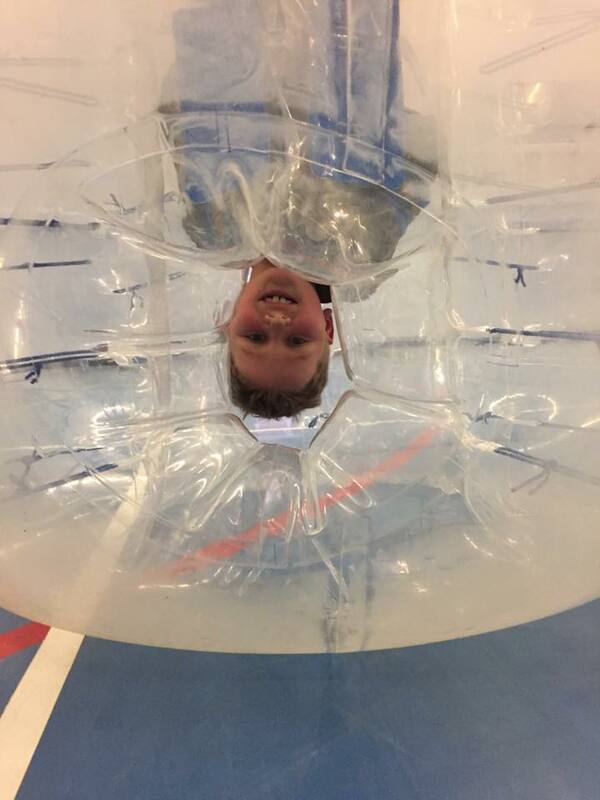 As rowers, many of the children found manoeuvring the bubbles a real challenge and it was great to see them problem solving and discovering new skills. Finally, it is a great spectator sport! It was so funny watching from the side lines and seeing the boys bump into each other and the girls doing forwards and backwards rolls and flips; definitely one of the best afternoon's of entertainment that we had on the Courses! Chief Bubble Organiser Ed Ryder recalls some of our sessions top bookings!